Shipping: **Free Shipping** This product now has FREE SHIPPING. The price you see may seem higher, but it is the same as last year, with shipping built in. 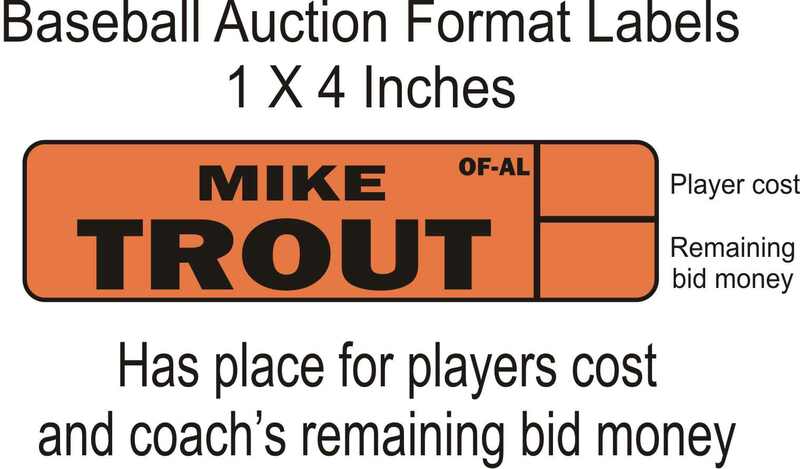 Baseball Draft Kit with 1 X 4 Inch National League Player Labels. The National League Draft Kit includes 378 NL player labels plus blanks for each position including: 1B, 2B, SS, 3B, C, OF, SP, & RP. This is great because I have one league that is only NL and I don't need or want the AL players. This is perfect. Used this for our draft and it went very smooth.